Luke 5:4-5 “When he (Jesus) had finished speaking, He said to Simon, ‘Put out into the deep water and let down your nets for a catch’. Simon answered and said, ‘Master, we have worked hard all night and caught nothing, but I will do as You say and let down the nets’”. Has God ever asked you to do something that didn’t make sense? Has He allowed a trial in your life that threatens to overwhelm you? 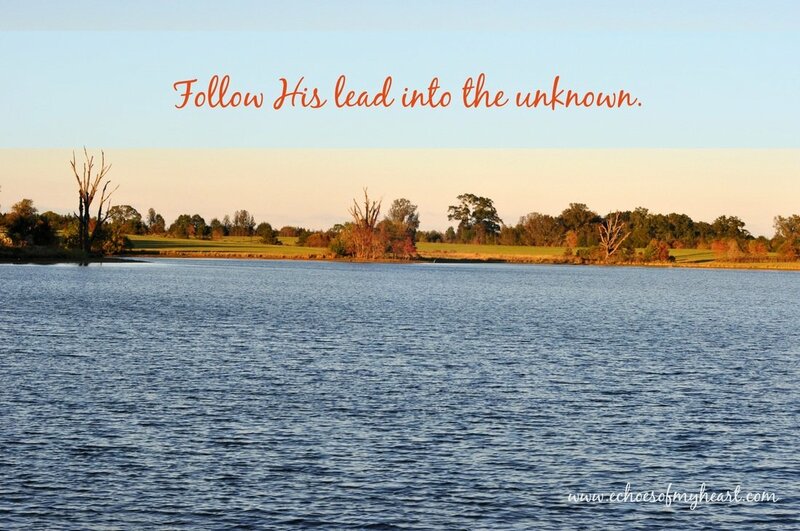 Has He moved you into deep waters in which you feel vulnerable and uncertain? In Luke 5 Simon explains to Jesus what they have done and what the result has been, but he ends with, “but I will do as You say and let down the nets” (Luke 5:5). Simon demonstrated trust. He might not have known what the result would be as they let down their nets in the deep waters, but He obeyed Jesus’ instructions. Luke 5:6-7 “When they had done this, they enclosed a great quantity of fish, and their nets began to break; so they signaled their partners in the other boat for them to come and help them. And they came and filled both of the boats and they began to sink”. Sometimes Jesus takes us out into deep waters before He provides a bountiful harvest. It is easier to feel safe while we are standing on the shore or when we are wading in shallow waters. But, what about the times when He calls us out further and deeper than we expected or feel comfortable with? Will we trust Him then? Is He not the God of both the shore and the choppy seas? Is He not the God of both the blessing and the broken hearts? I battle with trust issues. I try and protect myself and end up seasick with worry and fatigued from fretting. In Luke 5 we see that the fishermen caught a great number of fish, so much that their nets began to break. They even began to sink under the weight of their catch. They did not stay with the surplus of fish, they left everything and followed Jesus. Their trust did not stay caught up in the provision or the success of their work, they chose to follow the One with divine wisdom and leave the familiar in exchange for a life of following. Their actions declared trust. They listened to the Master, obeyed His instructions and followed His lead. Trust is essential in our relationship with Jesus. Trust is a must…especially in the deep waters. Are you in a difficult place right now? Have you been fishing for provision, success, healing, answers? Let’s look to the One who created the seas and ask for His wisdom to help navigate the waves and the storms that threaten to take us under. 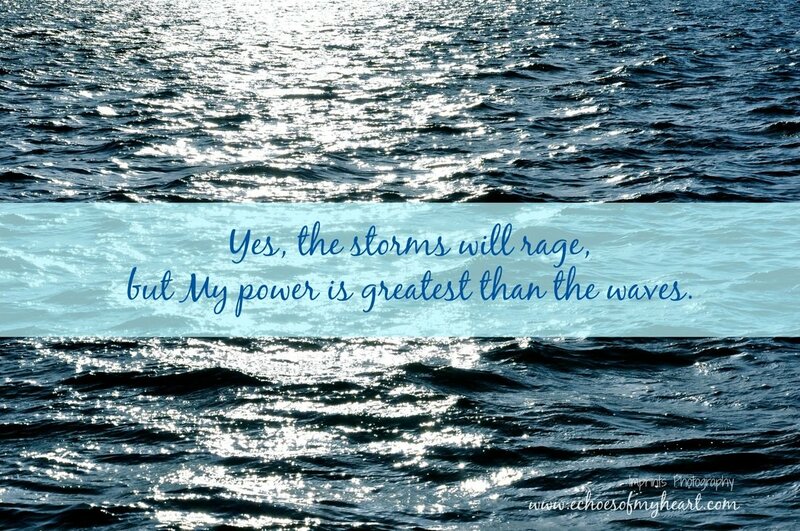 Dear God, You are in charge of the waves. You made the seas. You are able to walk upon the waters. You are capable of carrying me through the storms. Thank You that You hold me together when everything seems to be falling apart. Thank You that You don’t abandon Your post. You light the way in the dark. The beacon of Your love goes with me so that I can see over the next wave. You are my Light House. Help me to be at home with You, even amidst the uncertainty. Thank You for Your steadfastness. You are My Rock, I take refuge in You. In Jesus’ Name, Amen. This post is part of a 30 Day Devotional Series for the Cure Cancer Fast. Check out all the posts over here. You’ve described me perfectly: “I… end up seasick with worry and fatigued from fretting.” But I also love that verse from Psalm 112 and remember it all the time. Sometimes bad things happen, storms come, but we don’t have to be afraid of them in advance because we can trust God’s care over us. 🙂 Blessings on your weekend. Beautiful encouragement, Katie. I have all things Moses on my mind as I study His life with Bible Study Fellowship so I can help but to reflect on him as I read what you shared. What trust and devotion He had in God. I love most how he communicated with God. I want that kind of relationship with God . . . and the beautiful thing is I can.